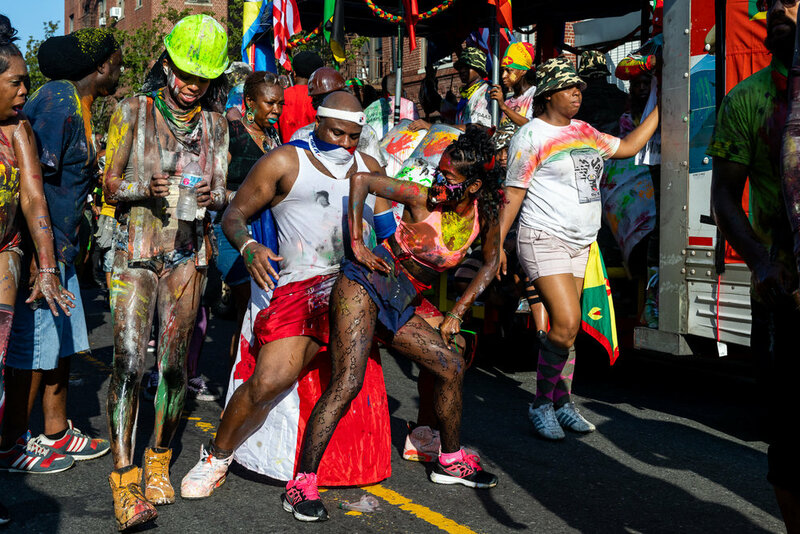 J’Ouvert (opening) is the Caribbean pre-dawn festival marking the beginning of Lent. Greeting over 2.3 million participants every year, the West Indian American Day Carnival in Crown Heights, Brooklyn bursts to life well before sunrise during labor day weekend. The party begins as revelers descend upon the scene masqued in a gorgeous array of interpretive garb and body paint. The sounds of steel band music fill the air, waking up the neighborhood, calling all to join the celebration. Mardi Gras and Carnival are celebrated throughout the world. From the Caribbean to Latin America, North America to its birthplace, central Europe, the fantasy and exuberant pageantry marks the period of Christian austerity and piety in anticipation of Lent. Tracing its royal origins to medieval times, the mythic Boeuf Gras ( Fatted Calf ) led the annual procession route from Rome to Venice onto the home of the French House of The Bourbons . The first carnival celebrated the the colonies ( 1703 ) as La Masque de Mobile in the settlement of Fort Louis de la Mobile. In 1718, a settlement approximately 60 miles south of New Orleans was established by Jean Baptiste Le Moyne Sieur de Bienville and named Pointe du Mardi Gras. The carnival celebrated through select, private balls such as Le Masque de la Mobile. A living art form, the vibrant pageantry of carnival expresses the bounty of the multicultural legacy of the Caribbean. Mardi Gras found new expression throughout the islands from the French Antilles to Cuba and throughout the Americas. While many carnivals continued to mark the Christian calendar, new traditions emerged within colonized peoples to fete the harvests of late Summer. 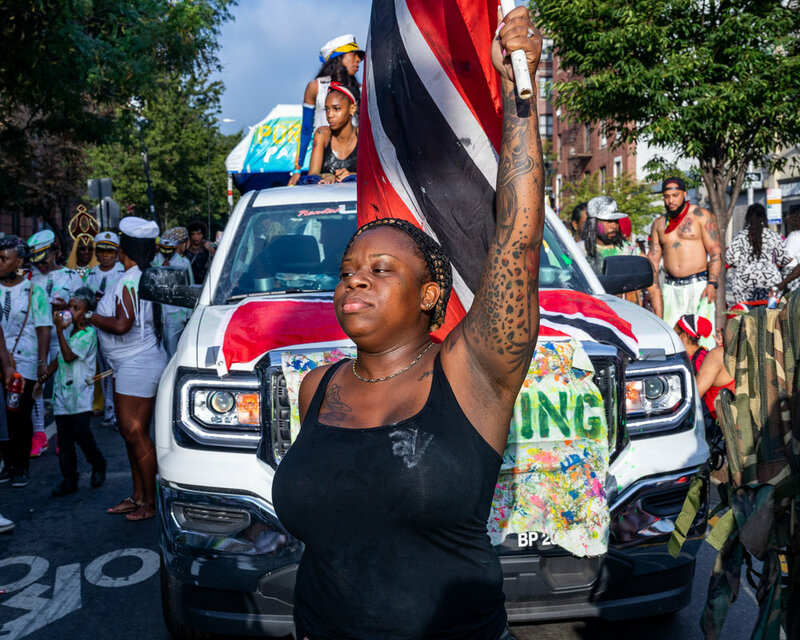 Based on folklore, culture, religion, parade bands, masquerade, steelpan, calypso and soca music, the crowning of a Calypso Monarch, masquerade competitions (Mas) jab jab , and Moko Jumbie, Carnival is celebrated on a global scale. J’OUVERT (Opening) is part of Katzenstein’s larger body of work, The Human Experience, a collection of his visual explorations that span over the past 30 years. His work presents the positive aspects of peoples and cultures, and takes the viewer on countless journeys near and far.